The redesigned 2015 Honda Crosstour has already impressed drivers nationwide with its modifications on the 2014 model. The 2015 Honda Crosstour features the versatility of the 2014 model – its sedan-like handling, efficient fuel economy, and premium tech features – however, the 2015 Honda Crosstour also features a stylishly redesigned exterior with high-quality materials, a longer list of technology features, and powerful, fuel efficient engine options. The 2015 Honda Crosstour exterior features several changes to the 2014 model, such as all-new front and rear bumpers, a new front fascia with sleek LED headlights, and a chic new chrome grille. The 17-inch alloy wheels come standard with the EX and EX-L models, and the EX V6 and EX-L V6 models come with 18-inch alloy wheels, which lend them a high, confident stance that well suits the luxurious spirit of their class. This redesigned Honda model features 2 engine options, both of which sport plenty of power at efficient rates. The base 192 hp 2.4L four-cylinder engine reaches 162 lb-ft torque at 4,400 RPM. This engine delivers power through a 5-speed automatic transmission, which helps it to run at an EPA-estimated 22 mpg city* and an impressive 31 mpg highway*. If you’re looking for even more power, the 3.5 L V6 engine puts out a tremendous 278 hp with 252 lb-ft torque at 4,900 rpm! And despite all that power, it gets an EPA-estimated 20 mpg city* and 30 mpg highway*. The additional technology features of the 2015 Honda Crosstour are sure to excite. Such added features include an auto-dimming rearview mirror, steering wheel mounted controls, a multi-angle rearview camera, and a lane departure warning system combined with Honda LaneWatch that ensures safety in the toughest of driving situations. As for interior tech features, HondaLink allows you to access your phone, navigation, entertainment, and infotainment on an intelligent Multi-Information Display. You’ll be able to operate Bluetooth, a cutting-edge audio system, and the Honda Satellite-Linked Navigation System by Voice Recognition, so you can keep your hands on the wheel where they belong. Come Test Drive the 2015 Honda Crosstour Today! Visit our showroom to experience the innovative redesign of the 2015 Honda Crosstour today! 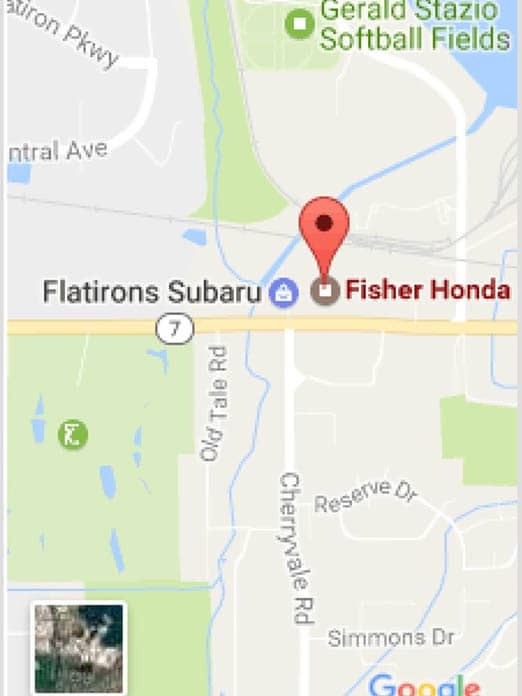 Fisher Honda is located at 6025 Arapahoe Road in Boulder and open Monday through Thursday from 8:30 a.m. to 8 p.m. and Friday through Saturday from 8:30 a.m. to 7 p.m. Come by during our working hours. 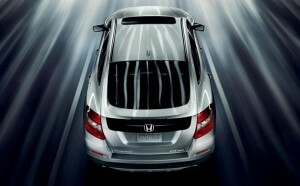 We’d love to show you what the Crosstour can do! *22 city/31 highway mpg rating for 2WD 4-cylinder models. 20 city/30 highway mpg rating for 2WD V-6 models. 19 city/28 highway mpg rating for 4WD V-6 models. Based on 2015 EPA mileage ratings. Use for comparison purposes only. Your mileage will vary depending on how you drive and maintain your vehicle.